Facebook is now making a step to make every Facebook Profile unique URL name and Facebook E-mail Messaging Address Similar. 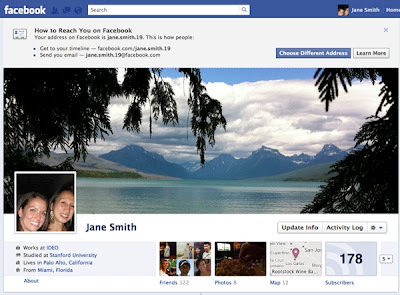 If you have not yet selected your default Facebook Messaging E-mail Address than you will be soon able to get your Facebook Messaging Address same as unique profile URL name. Users who have already created Facebook Email Messaging Addresses will not be affected by the change, but those who haven’t will see the update rolled out to them over the next few weeks. Users will be able to use their Facebook Message E-mail feature same like they use Gmail, Yahoo Mail and Hotmail addresses and even they can get emails from third parties directly into their Facebook Message Inbox. Facebook is aiming to make social networking website full of features so that users will able to use their Facebook account for Entertainment as well as for Business purpose. So readers what you think about this Facebook step? Do you think this step will make any difference? Tell us in Comments.